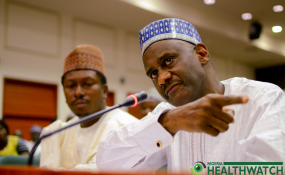 Abuja — The federal government has set up an independent fact-finding panel to investigate the alleged infractions by the Executive Secretary of the National Health Insurance Scheme (NHIS), Dr Usman Yusuf. A statement signed Wednesday by Mr. Olusegun A. Adekunle, the Permanent Secretary (General Services Office) for the Secretary to the Government of the Federation, said President Muhammadu Buhari approved the establishment of the panel after due consideration. The chairman of the seven- man panel is Dr. Hassan Bukar. The panel will submit its report within two weeks.